A local TV and film producer has spent over a year working with one of Britain’s greatest sporting heros. Simon Ford talks to Fergus Byrne about the imminent release of Being AP. For those not familiar with A.P. McCoy, he is a man addicted to winning. 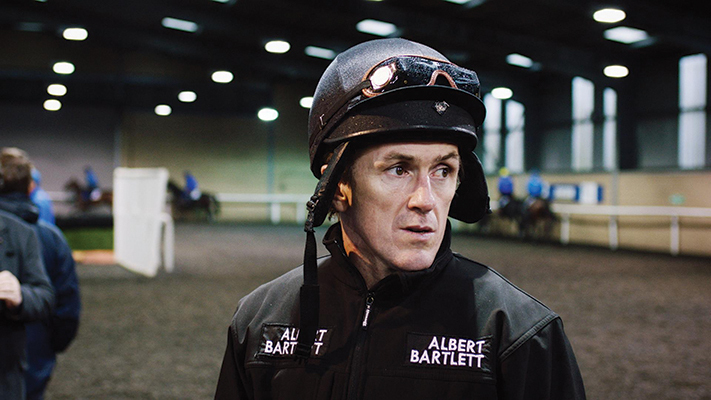 In over twenty years as a horse-racing jockey, he achieved legendary status in the UK, tallying up more than 4,000 wins, despite being taller (at 5’10”) than most of his peers. In this gripping documentary, McCoy nears the age of forty and confronts a fate that unnerves him more than any injury: the pressure to retire. And there was no shortage of pain. As well as the physical agony McCoy experienced with shattered ribs, punctured lungs, breaks in his collarbone, shoulder, arm and sternum, the pain that his wife Chanelle feels is open and clear. While he approaches every race with the fear of losing, his wife is more worried about bodily harm. Over the course of McCoy’s career, races have gotten faster, making jumps more perilous and accidents more life-threatening. Chanelle wants to ensure her husband’s future as a father to their two young children, and the tension between the couple escalates as McCoy nears a decision about his future.